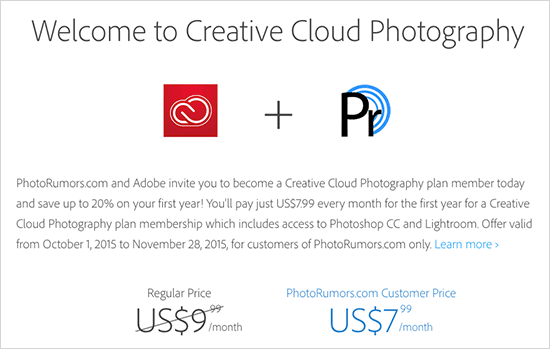 For a limited time Adobe is offering a Creative Cloud Photography plan for $7.99 to PhotoRumors readers. This is a 20% discount during your first year of membership. The Creative Cloud Photography plan includes Photoshop CC and Lightroom. This offer is valid from October 1, 2015 to November 28, 2015. Additional information is available here.